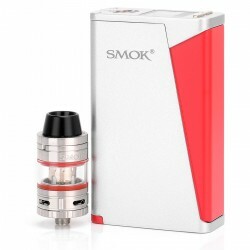 The SMOK H-Priv mod comes with original version V1.0.9 firmware or before, now you can update it to V1.1.1. 1. Solved the vaping delaying. 2. Misuse prevention function is added: You need to press the “+” and “-” button to lock the H-priv, then press the fire button three times to enter the menu. 1. 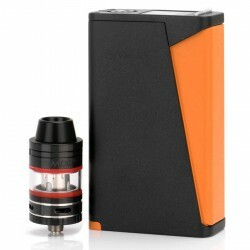 Take out the battery before connecting your H-Priv with the computor. 2. You have to hold the fire button all the time during the upgrading. 1. Check your H-Priv’s current firmware version: Turn off you mod and then press the fire button to turn on, the firmware information will show on the screen. 2. We use the micro USB port for upgrade so you need a micro USB cable, which is included in the package. The device will not work properly if you use the incorrect firmware version to upgrade or overide upgrade. In that case, please use the upgrade tool to erase the old firmware first and then flash the correct one. Glad they finally solved the vaping delay, was very frustrating! I’m pressing the “+” and “-” but it won’t lock!! Mine only locks with 5 fast clicks. Does the “+” and “-” lock works on you guys? I just bought this. When it starts i see 1.1.1 so i guess it came with the latest version. Also the site to upgrade firmware isn’t working so i could test if i really have the latest version. Most smok mods, five press the fire button to lock.